NFL Media Insider Ian Rapoport reports Taylor Mays will sign with the Oakland Raiders. The six-year safety was released by the Detroit Lions last week. Mays signed with the Lions this offeason following his release from the Minnesota Vikings in March. Mays has started only four games since his rookie season, and tallied 98 tackles and one forced fumble in his career. 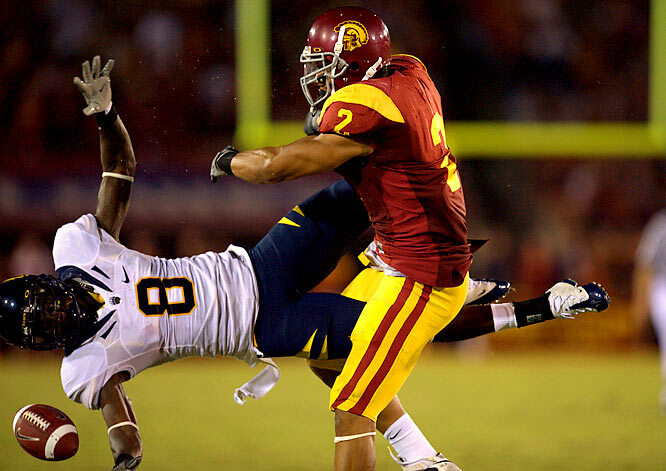 The former USC standout will be reunited with his former coach college coach Ken Norton Jr. in Oakland.